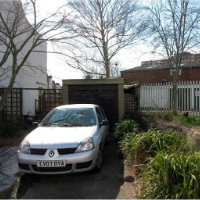 Tetlow King Planning (TKP) successfully achieved the grant of full planning permission for the demolition of the garage adjoining 6 Beauley Road and the development of a three storey dwelling to provide three 2-bedroom flats with parking in its place. TKP demonstrated that the site was a sustainable location which maximised the potential to redevelop the end of terrace plot, delivering a high density scheme in a location close to main public transport routes and centres in line with adopted policy, as well as providing high quality smaller dwellings for smaller households. It was also demonstrated that the development would not result in adverse impacts to neighbouring properties. The application was approved under delegated powers.